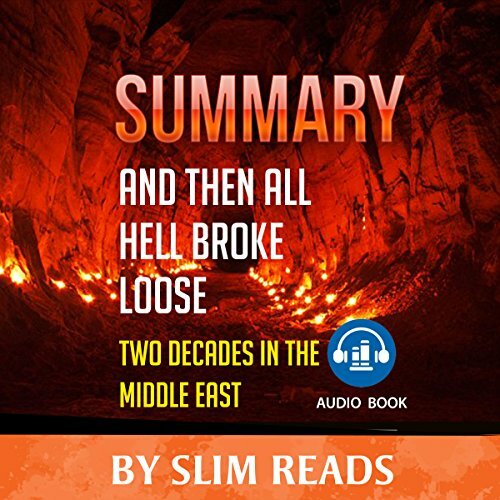 This is a summary of And Then All Hell Broke Loose: Two Decades in the Middle East - not the original book. And Then All Hell Breaks Loose is a powerful book on the life of one reporter in the Middle East. Richard Engal spent most of his life from 1996 - now in the Middle East covering many different stories. From his time in Cairo with the first al-Qaeda attacks to the Iraqi War and then to Syria, Engal has seen it all. He reminisces what it felt like in Lebanon to go back to a semi-normal life after his intense years living undercover in Baghdad, fearing for his life on a minute-by-minute basis. This book brings to life what reporters actually go through and how they deal with death and catastrophic events while reporting to the American public in a calm demeanor. Bonus: Report about the tidiest and messiest places on Earth.